Brides and grooms often wait until the ceremony to first lay eyes on each other on their wedding day. In more recent years, people have chosen to break this tradition and take photos ahead of time. The staff at Eastlyn Golf Course & The Greenview Inn understands the pros and cons associated with first-look photos. Their knowledge comes from experience being the outdoor wedding venue of choice in Vineland, NJ. There are many rituals associated with wedding celebrations; waiting until you reach the altar to see your spouse on the big day is one of them. 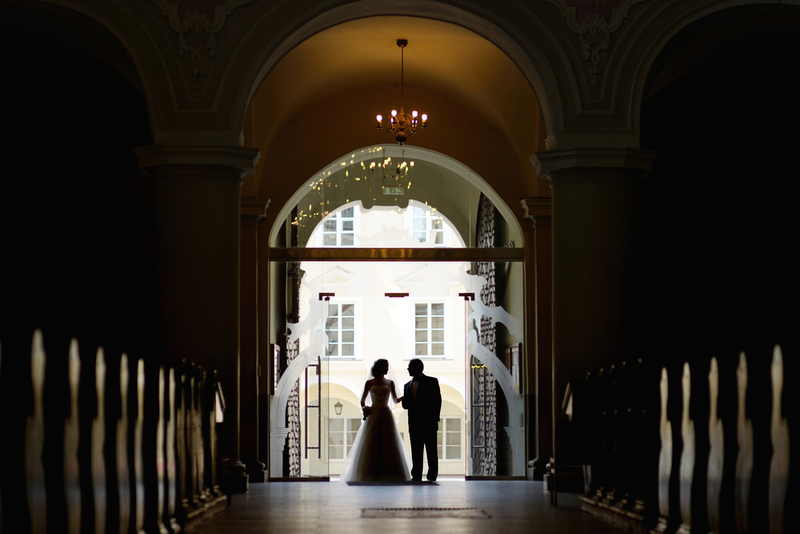 Many people believe that breaking this tradition could lead to an unsuccessful marriage. If you’re a fan of ritual or buy into wedding-day superstitions, then don’t go the first-look route. Opting to take first-look photos means you’ll have more time to pose for pictures with family and the bridal party later. If there’s traffic getting to the venue, an important item was left at home or any other events delay activities, you’ll make up for lost time by taking photos beforehand. Another argument against first-look pictures is that the poses and gestures, while cute, are staged. Snapping photos while walking down the aisle gives the photographer an opportunity to capture the spontaneous giggles, smiles, laughter and tears of joy you and your soon-to-be spouse experience at first sight. It’s natural to be nervous on your wedding day. Taking photos before the ceremony is a good way to relieve pre-event jitters. You’ll loosen up during the photo session and also get a chance to spend quality one-on-one time with your fiancé before you take center stage together. To reserve a beautiful reception venue in Vineland, NJ, call (858) 691-5558 today. Visit Eastlyn Golf Course & The Greenview Inn online to discover the many ways they will make your wedding even more memorable, and like them on Facebook for news and announcements.